Marketplaces and prices shown matched UPC number 887961505955 during our search. Disney Junior's Minnie Mouse is a world traveler, and she has everything she needs for her next Happy Helpers adventure around the globe! Whether she's sailing the high seas or heading to a fancy gala, Minnie is always ready! Minnie strikes a different pose with each snap-on fashion! Watch Minnie move every time your child presses her dress! Snap on each dress to unlock a new pose! 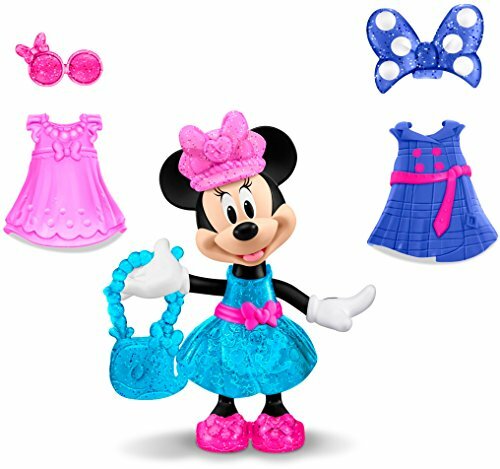 Minnie comes with 3 different outfits and 5 fashion accessories. 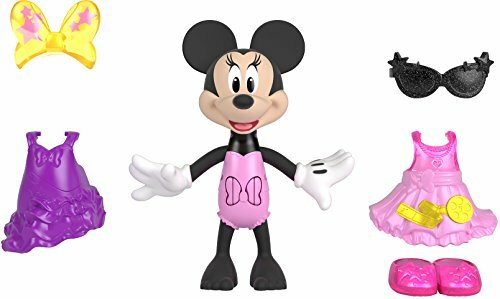 Press her dress over and over to see Minnie repeat her poses! 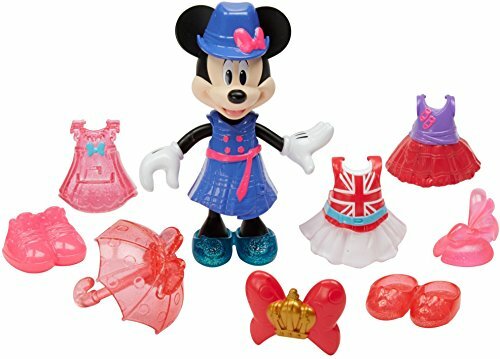 This set has everything Minnie needs for a world traveling adventure! Additional Snap 'n Pose fashion figures and accessories sold separately and subject to availability. Minnie is a world traveler, and she has everything she needs for her next adventure around the globe! Whether she?s sailing the high seas or heading to a fancy gala, Minnie is ready to strut her stuff. Snap her dresses on to unlock 3 different poses! And press down over and over to see Minnie repeat her poses! Includes 5? Snap ?N Pose Minnie doll, 3 dresses, 2 bows, one pair of shoes, one purse and one pair of sunglasses. This is a Minnie Mouse World Traveler Doll.